During the cold month of February, you might not be worrying about the condition of your lawn. However, this is actually the time that you should start thinking about preparing your lawn for springtime. February marks the middle of winter, which means that it is the perfect time to begin taking steps so that your yard is as healthy as can be when the weather starts to warm up. This is also the ideal time to start ordering your fertilizer and pre-emergent herbicides so you have them on hand in early spring. 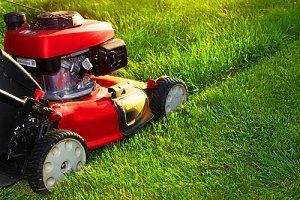 You should also take a close look at your lawn equipment to make sure it is ready for regular use. Learn more about how to prepare your lawn for spring in six easy steps. If you are unfamiliar with how to prepare your lawn for spring, one of the first things you should do is some basic cleaning. This includes raking any leftover leaves from fall and removing any debris that could have collected. These things are just going to get in your way when the weather warms up and you have to apply fertilizer or mow your lawn. This is also a good time to start dusting off your lawn equipment and making sure it is ready to be used. In early spring, you want to use a combination of fertilizer to feed your grass, and pre-emergent which is an herbicide used to prevent crabgrass. Following the initial application, six to eight weights later you should apply the combination again, while this time including a broadleaf weed killer. Be sure to not let six to eight weeks go by without reapplying your combination, as a regular application is essential in growing a lush lawn. Pre-emergent herbicides work so well because they address weed control by preventing the seedlings from ever emerging. This is one of the most effective ways to keep your yard weed-free. They form a shield that inhibits seed germination, stopping the weeds ability to grow before it ever even becomes a problem for you. After you have done this, do not do any aeration because this will break up the shield you have laid down and decrease its effectiveness. To have a thick, full lawn you actually want to mow your lawn very often. You should mow your lawn every five days for the first six weeks of spring to allow your grass to grow to reach its maximum quality. If you allow your grass to grow too high and then cut it, you are stunting the roots and they will not be able to reproduce properly. Once your grass has been taken care of, you want to place down a good quality and heavy mulch. Edge out your beds, trim back dead branches and shrubs and replace the mulch. If you have trees on your property, it is a good idea to pay close attention to them and do some trimming. Not only is this good for appearance’s sake, but you want to make sure there are not any dead limbs that are in danger of falling. If they were to fall, they could hurt someone, cause problems when you mow your lawn, and even damage your grass. The end of February is the perfect time to take care of any re-shaping that is necessary. 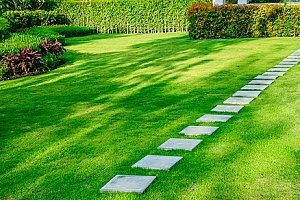 This is because if you have to bring in any heavy equipment, change the slope of the land to make it more ideal for a project, or repurpose part of your backyard, you do not have to worry about harming your grass. At this point, your grass is still dormant and will be able to recover from any damage when you start your spring care. It is important to know how to prepare your lawn for spring. 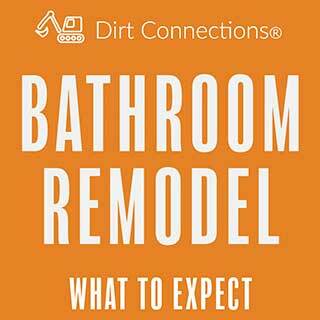 It is equally as important to know how fill dirt plays a role in preparation. If there are areas of your yard that you wish to change the slope of or prepare to build on top of, you are going to need some fill dirt. Most people believe that dirt is just simply dirt. However, any construction worker or gardener knows that the quality of the dirt and what the dirt is composed of makes a massive difference in how the dirt can be used. The two main categories of dirt that used when working on a landscaping project are fill dirt and topsoil. Topsoil contains organic matter which breaks down over time. While this makes it ideal dirt to start a garden, it also makes it terrible dirt to use for building on top of. This is because as the organic matter breaks down, the dirt around it begins to shift. 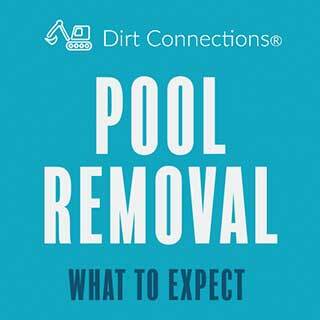 Fill dirt is dirt that lacks all organic matter, so it can be tightly compacted and trusted to stay in place. To do any re-shaping of your backyard, you are going to want to start will fill dirt to create your shape. Then, you will add topsoil over it areas that you wish to grow any plants. Sometimes your property can have dips and low points that you would rather not have to deal with in your yard. You may want them filled in for aesthetic purposes, or it may be for more practical purposes such as filling in low points to prevent flooding after rain or snow. You may also find these low points cause unwanted challenges when mowing your lawn. The solution to this problem is to perform land grading, which is the process of leveling out the land. Land grading is very common in construction projects because it makes the land much more suitable to build on top of. To do some land grading, you just need some clean fill dirt to fill in the low points in your yard to make the area more level. On the other hand, you may find that your landscape is too boring and flat. In this situation, you can use fill dirt to do some landscaping to shape the terrain to your desired appearance. This could include creating dimension by adding hilly areas or creating multi-level terraces. 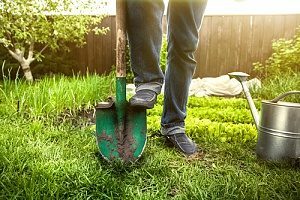 Fill dirt is also handy if you are planning on doing bigger projects in your backyard like building a shed, putting in an above-ground pool, or building a playground. Taking care of this during the month of February means that when springtime rolls around you can focus on the details of your lawn, like how well your grass is growing. Need to know more about how to prepare your lawn for spring? 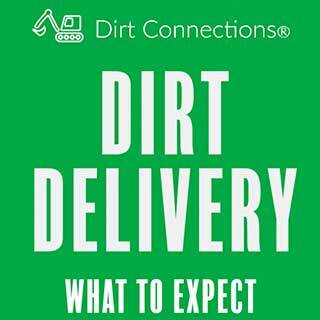 Reach out to Dirt Connections for more information and to schedule your free fill dirt delivery.